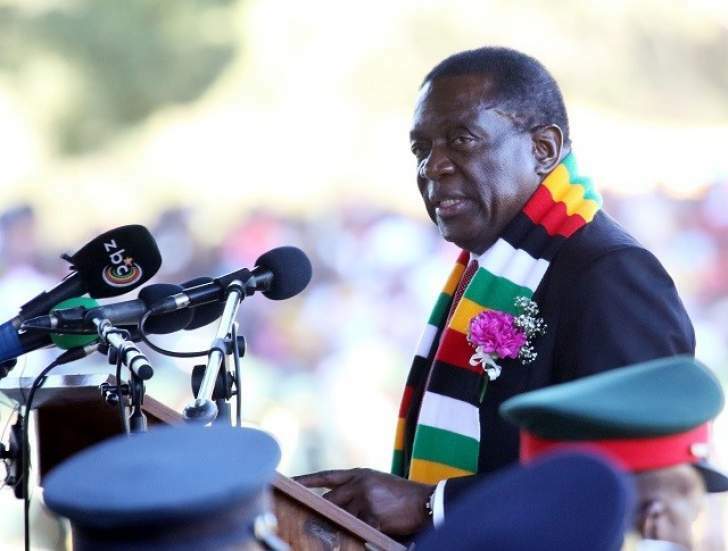 PRESIDENT Mnangagwa has urged the media to highlight the country's success stories instead of expending energies on negative stories that weigh down Government efforts to resuscitate the economy and lure investors. Writing in his weekly column published by this paper and The Sunday Mail, President Mnangagwa said the country's economy was on the rebound, yet some sections of the media painted an all gloomy picture. He added that opposition politicians also displayed an anti-development agenda on social media. "Daily I meet delegations and visitors from different parts of the world. To the number, they express surprise that the country they read about before they visit is hardly the same country they find and live in when they arrive. "They confess to a marked positive discrepancy. Further, they remark and ask: 'Mr President, it is your people and Press here, not foreigners or foreign Press, responsible for writing down your country. Why?'" The President said Zimbabwe is like a bright flame to a moth, with businesspeople from all over the world coming to scout for opportunities. "They are unanimous that Zimbabwe has some of the best opportunities found in emerging markets. Foreign companies doing business here post very good results. Further, these visitors commend the peace and security which abide here. They remind me that the challenges we face are common to most nations, and are teething and certainly surmountable. "They admire the spirited way we tackle them. Not so for some of us and some sections of our media. For them mundane problems here are made to read like rare monstrosities, indeed like unheard of aberrations! "Much worse, these problems are made to define and summarise us as a people and as a nation. And even in the face of clear breakthroughs, problems have to be imported or invented," he said. The President added that he acknowledged that the role of the opposition is to criticise, "but not just to criticise and to be negative for the sake of it." "All this has left me wondering why all this negativity, more so when most of those who bad mouth and "write down" the country do so from here, are educated enough to read our hopeful and ever improving circumstances, and live and belong here as nationals and citizens." He pointed out that the media was key in shaping intuitions and attitudes, and if the media was not responsible, it was likely to derail economic progress. "The bad talk turns into a premium the country has to pay to compensate for falsely invented country risks. And when we haplessly protest against exaggerated country risk claims, our would-be benefactors draw our attention to "reports from Zimbabwe", from "home". "They will refer us to negative media reports and uninformed opinions which even though penned in ignorance or playfulness, suddenly assume a seriousness out there which decides our fate as an economy and as a nation. As a consequence we get rated down, and thus forfeit deserved opportunities. Such is the dollar cost of the negativity we churn out here, often if not always in the face of clear positives we strangely seem unwilling to write home about."